Provides 2 pools, a multipurpose sports court and all facilities you need for a perfect stay. 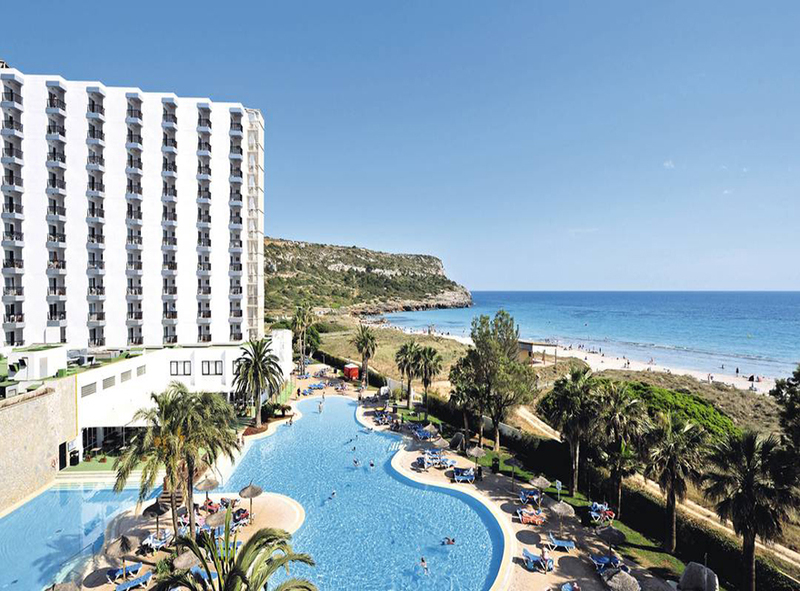 Rooms with stunning views of Son Bou beach. Ideal for vacations with all the family, discovering one of the most beautiful islands in the Mediterranean. Full activity programme, parties, musicals, evening shows and live music. Magnificent international theme buffet and local specialities. 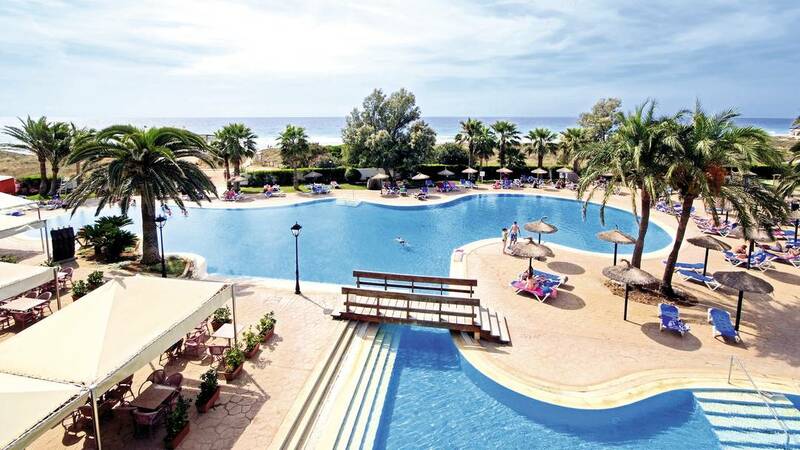 Located in a quiet and safe corner of Menorca. 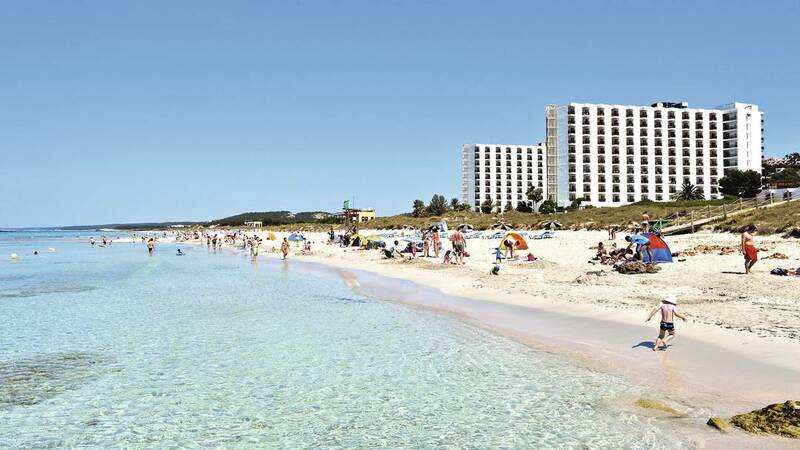 The Sol Milanos Pingüinos resort is located right on Son Bou beach, one of the most famous and longest beaches in Menorca and an Area of Natural Interest with rich and varied flora and fauna. Composed of two buildings, the “Milanos” and “Pingüinos”, this spectacular resort is ideal for vacations with all the family and discovering one of the most beautiful islands in the Mediterranean. Amongst its facilities, the hotel provides 2 swimming pools (one lagoon-style and the other a sports pool), a multipurpose sports court, a mini club, a children’s play area and a mini golf course. 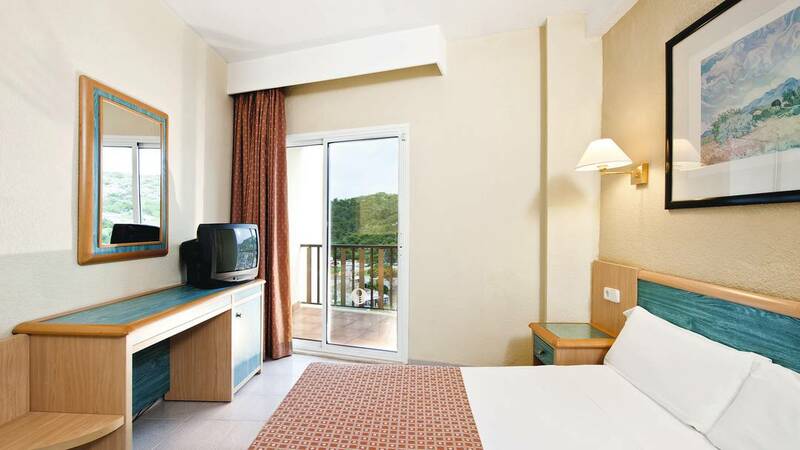 The Sol Milanos Pingüinos provides elegant, comfortable, sunny rooms, all fully equipped with all the services and facilities you need for your stay in Menorca. The Sol Milanos Pingüinos provides elegant and comfortable rooms which are bright, sunny and fully equipped with all the services and facilities of a hotel of its category. Bright rooms with a terrace furnished with table and chairs, the majority with views of Son Bou beach. The rooms provide two single beds or a double bed and the possibility to add an extra bed and cot on request. Limited number available. Bright and sunny rooms with furnished terrace (table and chairs) and with stunning views of the beautiful Son Bou beach. The rooms have a double bed or twin beds and offer the possibility of an additional bed. The Sol Milanos Pingüinos offers great dining spaces for you to enjoy every occasion. DESCRIPTION: Buffet with show cooking and areas serving wonderful salads, fish and meat dishes, fresh fruit and vegetables and delicious desserts. In the Italian Corner, ideal for children, enjoy tasty pastas, cannelloni and pizzas. DESCRIPTION: Savoury and sweet snack service, drinks and cocktails. OPENING TIMES: From 11 a.m. to 6 p.m. DESCRIPTION: Drinks, juices and ice creams. ATMOSPHERE: Located by the pool. OPENING TIMES: Depending on season. Full Board: breakfast, lunch and dinner, including house wine, water, beer and soft drinks during meals. Snacks during the day outside mealtimes, in the Hotel Sol Milanos Pingüinos restaurant. Magnificent lagoon-style pool and sports pool. Sunbed service, sunbeds and sunshades in garden. Private night-time security throughout the hotel. Private car park for exclusive use of guests. Supermarket and Yabba Dabba Doo shop. Stage for shows with limited seating.